Can Modi assure higher growth than UPA? 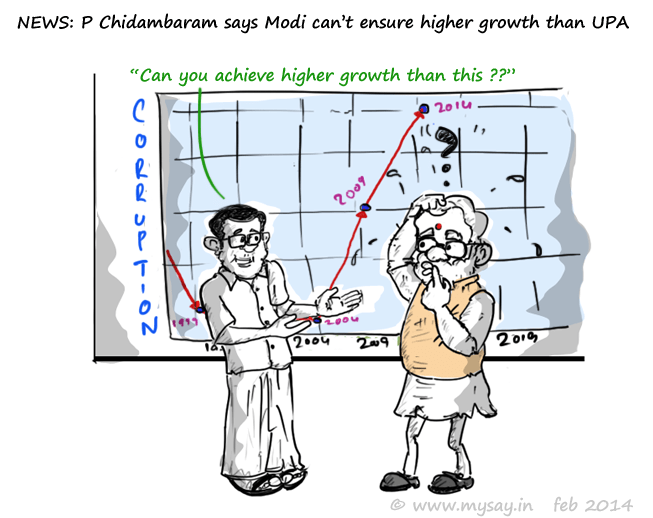 Finance Minister P Chidambaram is of the view that the UPA govt has achieved highest growth rate in any five-year period. He also doubts the economic understanding of BJP’s PM candidate, Narendra Modi and his claim of India can grow at 10 percent in present times. While Finance Minister’s claims cannot be questioned as he mostly has his figures right and it is normally that India grows better on govt papers only. However,he might have skipped to mention the significant growth in the fields of Corruption and Inflation in UPA’s regime,so far,has been felt by every Indian. Chak De India promoted Hockey and it got dearer to Indian since then although it was an important sport 2 decades back. 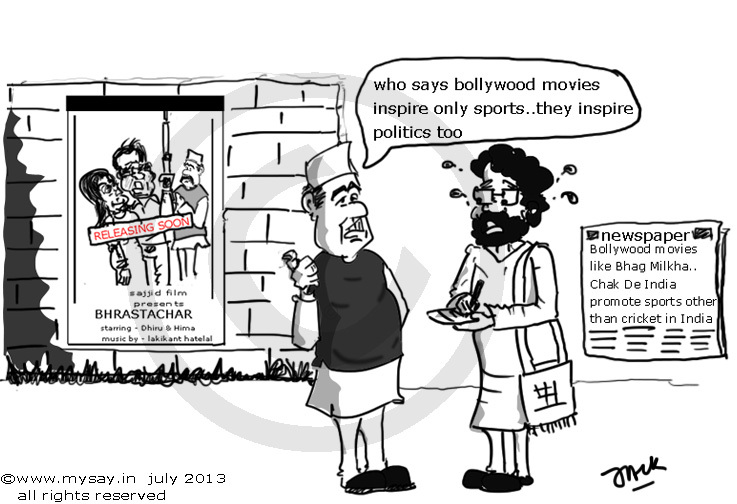 Bhag Milkha Bhag is expected to promote athletics of the nation.Previously,Paan Singh Tomar had promoted the same. Prior to that, Apne was all about Boxing and Bend it Like Beckham and Goal promoted football . There are many more movies which are a reason why the Indians are thinking beyond cricket. May you all agree that blaming only our government does not help. We are to a great extent responsible for the ills in the country. When we count corruption we target straight at the government but do we not do our share of corruption too? And if we do not do so, do we stop people from doing the same ? Please Click here to see my cartoons on The People and The Government. In Mumbai,only 500 people-Fading impact of Anti-Corruption Movement on India ! Only about 500 people gathered for Tuesday’s anti-corruption rally organised by activist Anna Hazare at the Kamgar Maidan, Mumbai! Previous rallies of ani-corruption did not fetch much foot fall , as anticipated ! The joint fast gathering of Anna and Baba Ramdev did not pick up as many people as expected! Is it that the nation is turning deaf ears to the social activists and crusaders against corruption ? Has the corrupt system finally won the battle and Lokpal Bill does not seem to be a solution to any problem ? Has the nation accepted that it is the right of the rich Indians to evade taxes and hide the black money in some foreign banks ? A movement which woke up India an year back slowly seems to have given up in front of the corrupt system! 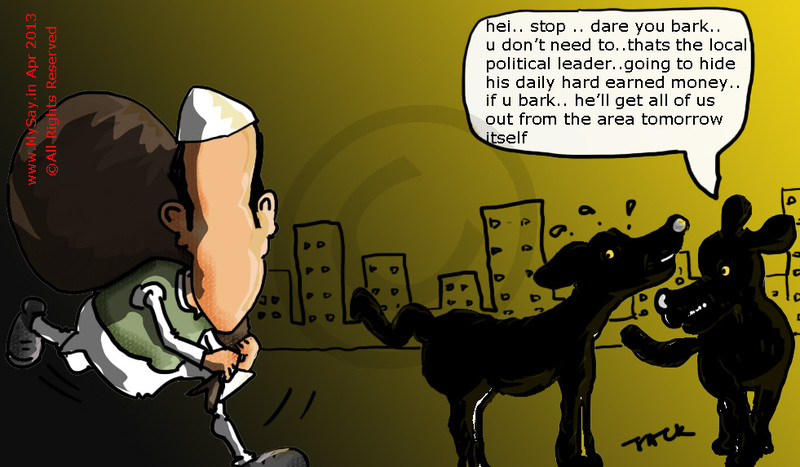 Guess, even Anna Hazare had no that the corrupt system will slow down the movement in just an years time !